Any time I hear this conversation, I want to do everything in my power to change the ‘stay away from shelters, they are sad places’ way of thought. Yes, there are many animals in kennels looking for a home. Yes, there are many heartbreaking stories. Yes, the world is full of idiots who often do terrible things to innocent animals. Yes, shelters are often over-extended and under-staffed. However, if people stay away, then how does anything ever change? It is easy to fall in love and want to take every animal home with you. Is that realistic? Of course not. However, spending some time to help in any way possible is realistic. If a dog gets to spend 15 minutes with a person on a walk, that is likely the best 15 minutes of the dog’s day. Without the help, well, then, they might be sad places. These look like pretty happy dogs and people to me. 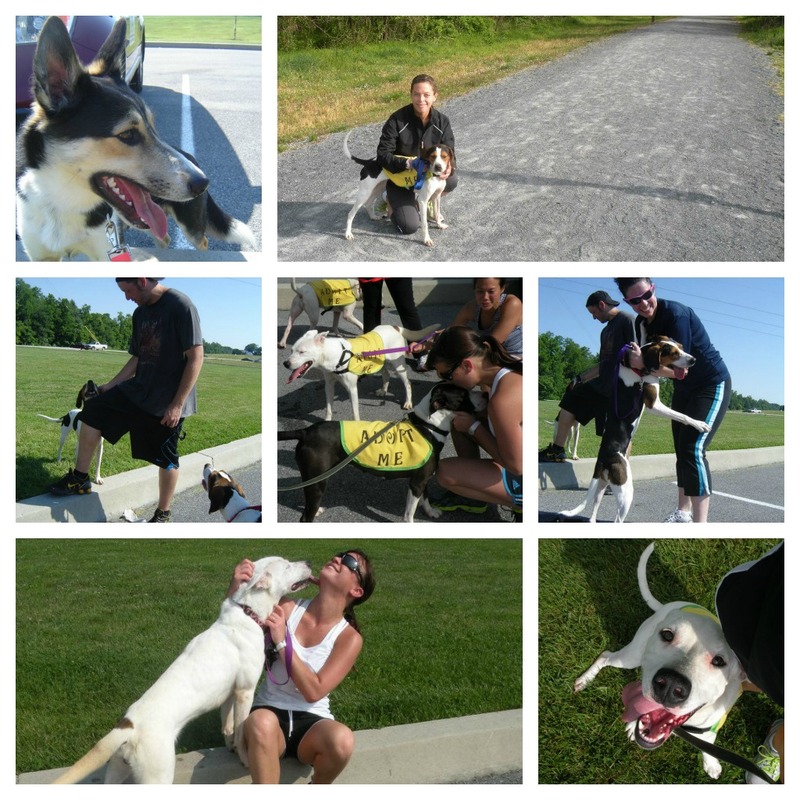 This week, Trinket ran a little over 3 miles while Bandit, Athena and Xena all ran (with a few walk breaks for Bandit!) 5 miles during the scheduled weekend run. Interested in running? Click here for more information. Interested in the stats on all the dogs running? Click here! Love this…and I’m sure your dog appreciates you every day! I love what you’re doing here! I currently volunteer for an animal rescue in Orlando, FL (Pet Rescue by Judy) and try and get the dogs some exercise, but it would be awesome to start a weekly community group like you’ve done. You’re amazing. All the words and ways to describe the shelters and the dogs are exactly how I feel, I just wasn’t sure how to put my similar passions together like you have. I’ll keep you updated as to whether I can get something similar started in my neck of the woods. I’ll be sure to take some tips from your wonderful organization!